 Located in the Southwestern part of Savannah Georgia, Timberland is dedicated to giving you an unparalleled apartment living experience. Our unique one-, two-, and three-bedroom homes provide you with modern, open-concept living spaces ideal for any lifestyle. Each home provides you with a space to call your own and boasts a wide variety of top-of-the-line in-home features. We not only provide you with unbeatable apartment homes, but we also offer special community features for your enjoyment and convenience. From laundry facilities and on-site maintenance to a sparkling pool and community playground, our pet-friendly community has everything you need to feel at home. Ideally located close to Interstates 95,16, and 516, Timberland makes it easy to get wherever you want to go from downtown Savannah and beyond. Educational pursuits and on-campus events are close by at both Armstrong University and Savannah State University. Enjoy living close to two Universities, Savannah National Wildlife Refuge, Hunter Army Airfield, and a variety of shopping and dining options. Visit our premium apartments today to take a private tour and begin making Timberland your newest place of residence. $300 pet fee for Additional pet fee is $200. Monthly Pet Rent $10 per pet. Breed restrictions apply. Two pets maximum per apartment. Pet waste stations are available.